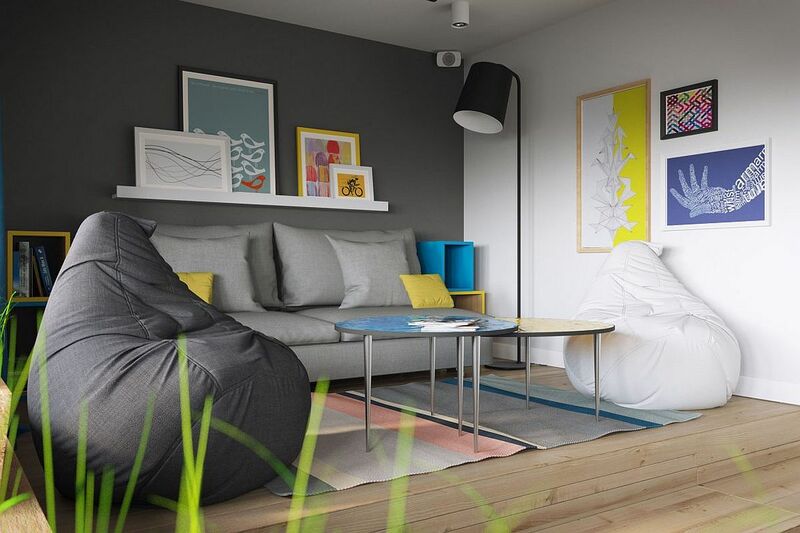 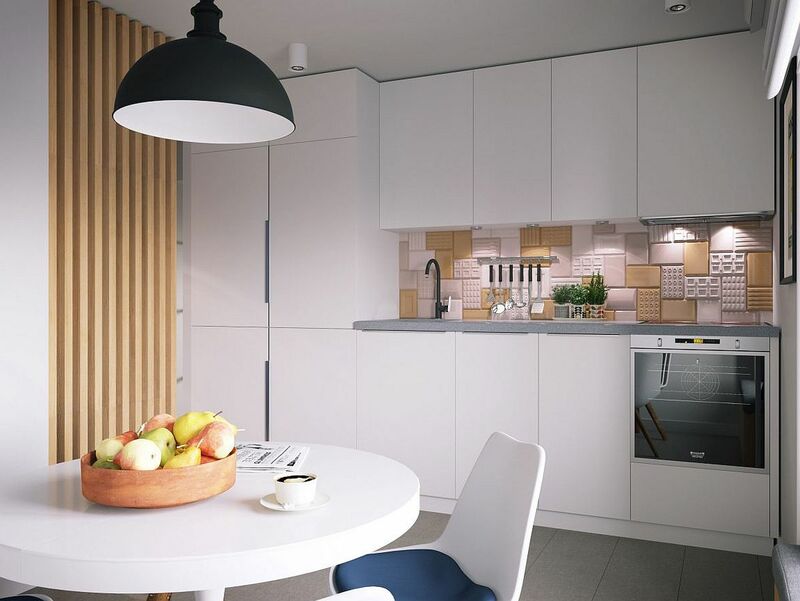 An urban second home that can be used by friends and family while providing a source of relaxation and recreation, the design of Igralnaya aims to combine modernity, Scandinavian design inspiration and space-savvy brilliance that leaves you mesmerized. 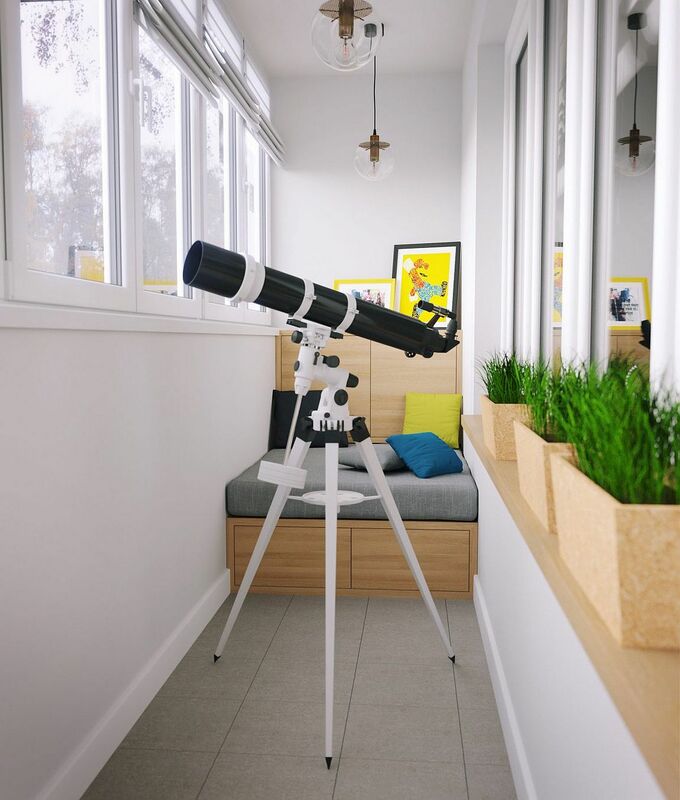 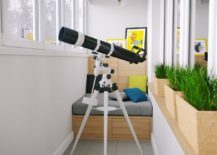 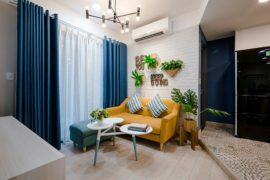 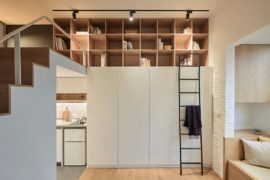 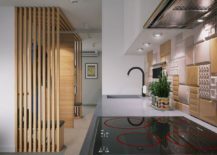 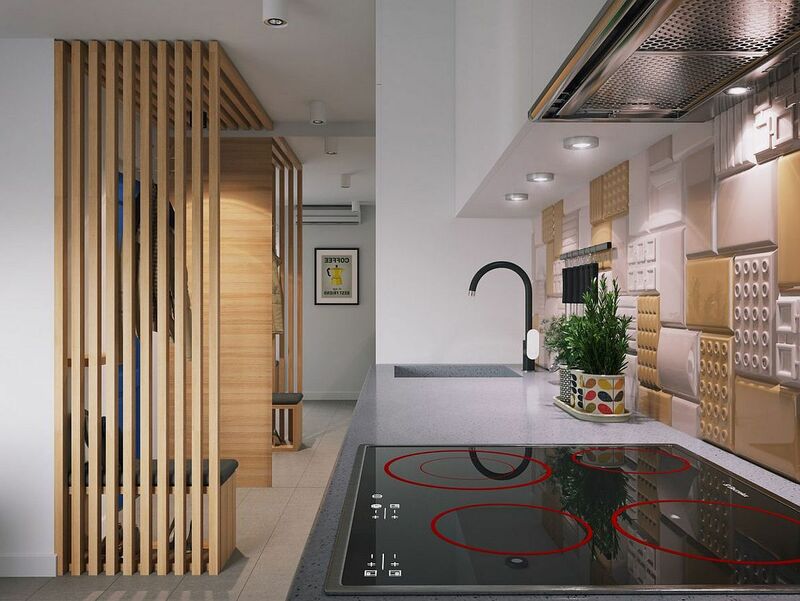 The uber-small 34-square-meter apartment was designed by Geometrium to maximize space at every turn without compromising on aesthetics and comfort. 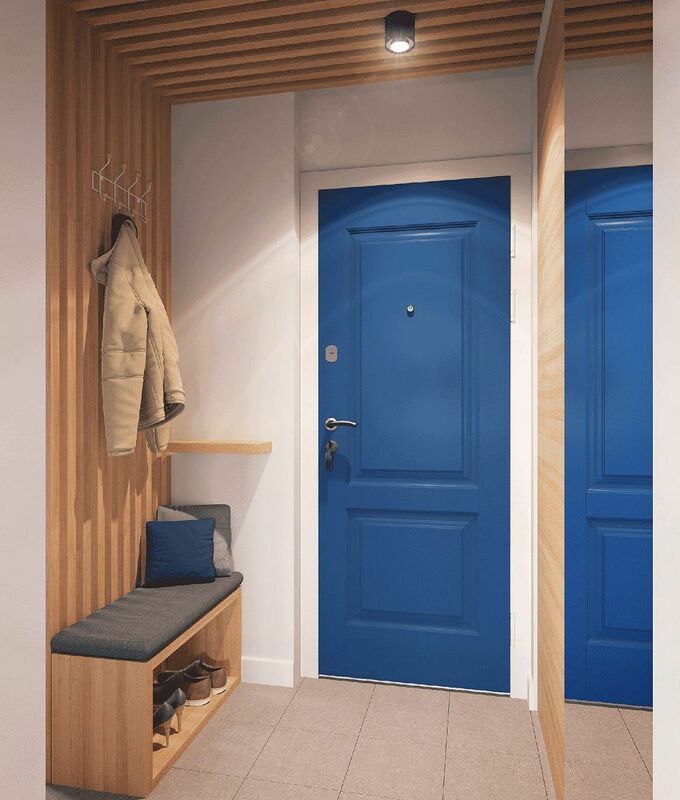 A small hallway welcomes you here, and the many space-saving delights already kick into action with shelves for shoes, hangers for your coats and additional racks that help tuck away anything else you might be carrying. 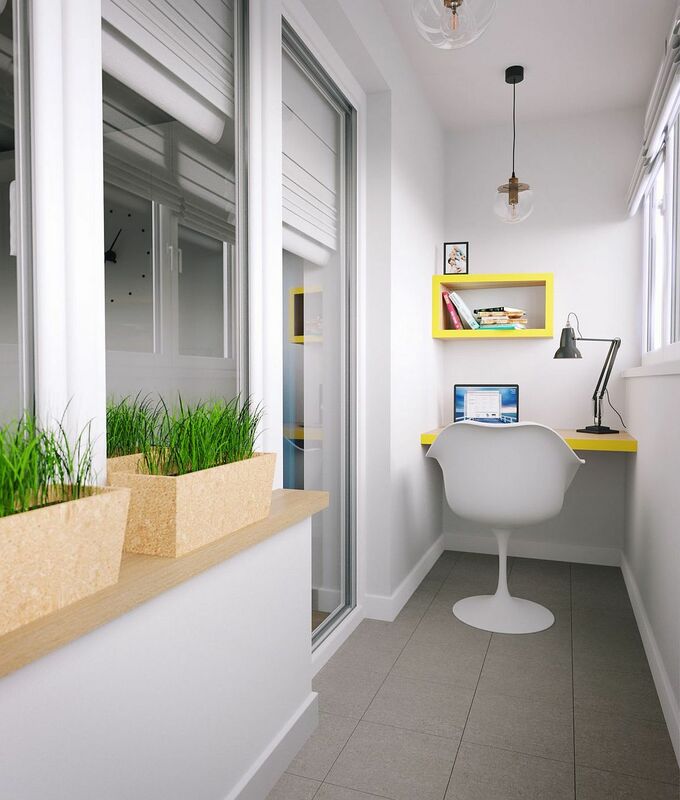 A small bench and sliding doors ensure that this tiny hallway seems both inviting and organized. 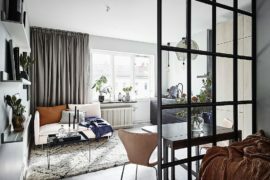 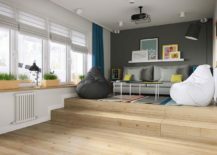 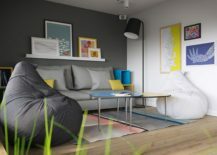 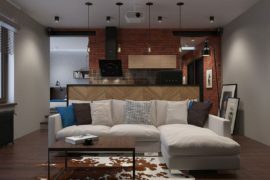 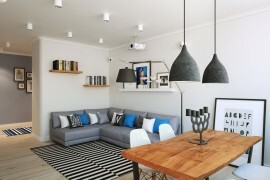 Step in further, and it is the turn of the unique living room – bedroom combination that drives home the Scandinavian style that was a must for the homeowners. 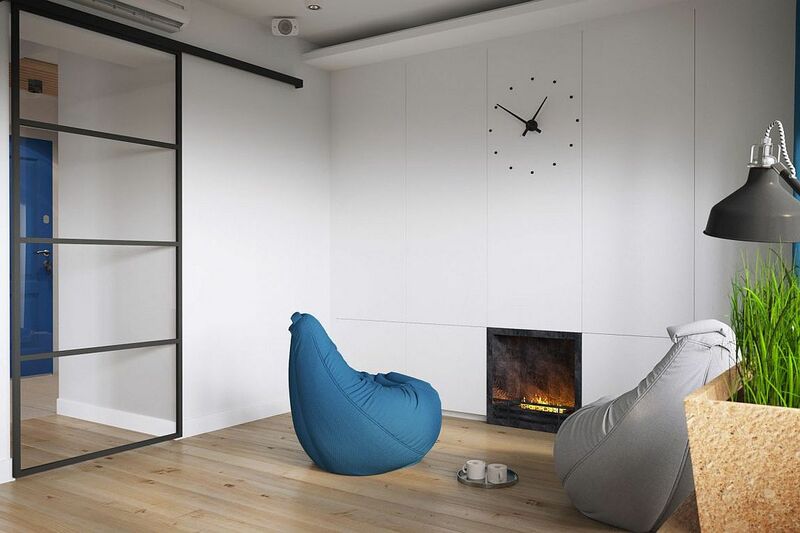 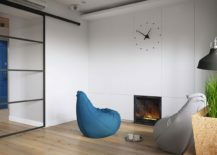 A Bio-fireplace with surrounding shelving becomes the focal point of the room on one side, even as an elevated deck-style platform contains the daybed, bean bags and additional décor. 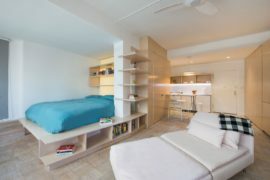 A hideaway bed that disappears into the platform offers additional sleeping space, with a projector turning the whole area into a cool home theater when needed. 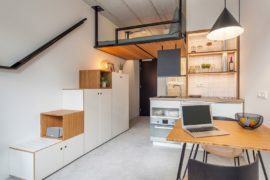 With a sofa, window seat and dining area, the small kitchen is much more than just a space for preparing food and doubles as a relaxing social hangout. 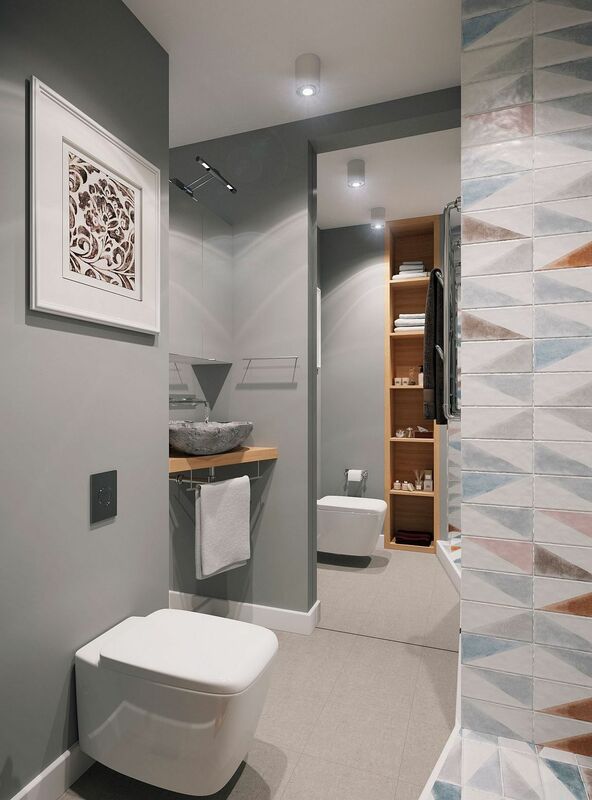 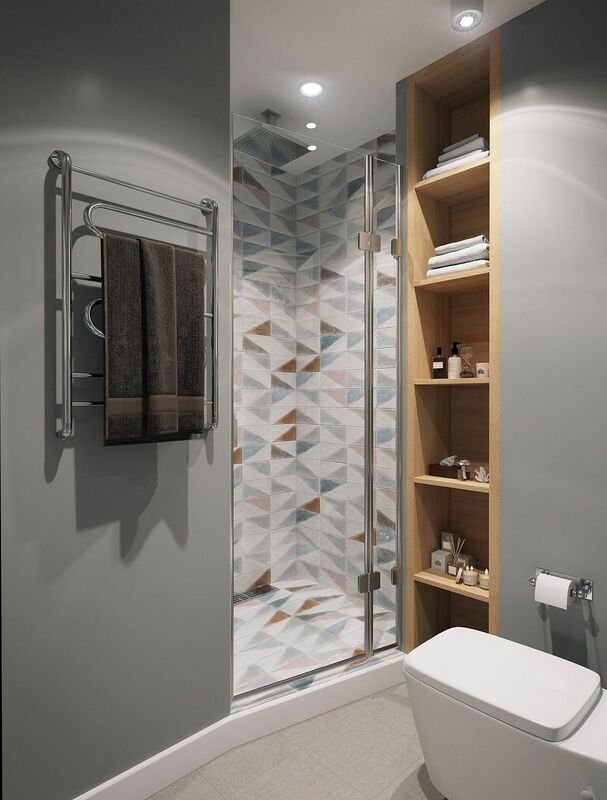 The ingenious use of tiles in both the kitchen and bathroom adds textural beauty and geometric pattern to each space, while the small balcony offers a tiny workspace and a smart sofa that combines work with a private place to rest and rejuvenate.